El Cielo is one of the notable pieces of property of the Bengaluru hospitality circuit located in the neighborhood of Banswadi. The rooms have been painted in monochromatic hues and are well-furnished. 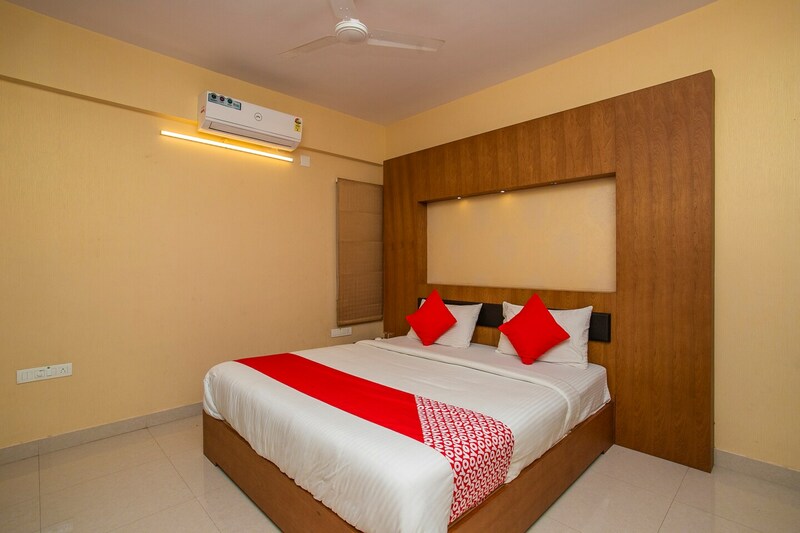 All rooms are extremely spacious and have a comfortable atmosphere. The rooms make a lot of use of wooden elements throughout the room. The wise use of artificial lights makes the rooms well-lit. The additional facilities provided by the hotel are free Wi-Fi, a constant power backup source, parking provisions, card payment in all forms, laundry provisions, and CCTV cameras. The in-house facilities comprise a dining area and a restaurant. The front desk service is located close to the entrance and is managed by hospitable staff. Ammas Pastries, The Bridge Walk Cafe, and PurpleBasil.In are some of the eateries located close to the hotel.